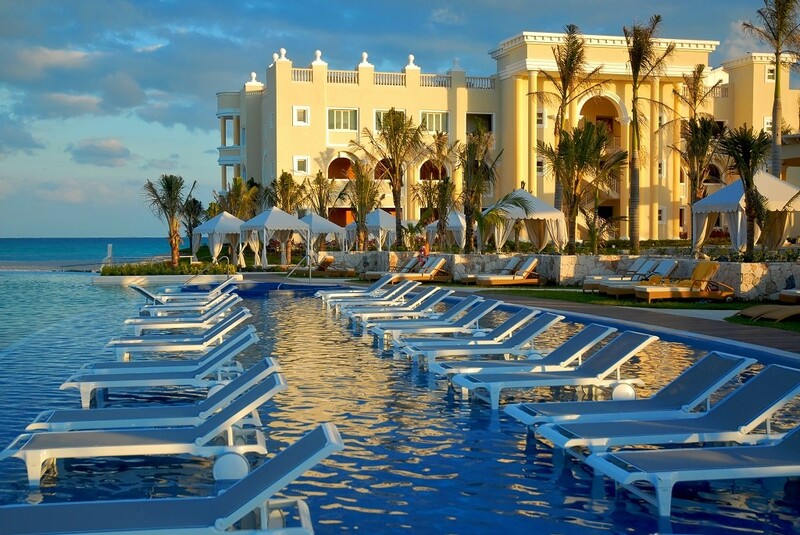 IBEROSTAR features over 100 hotels across 15 countries. 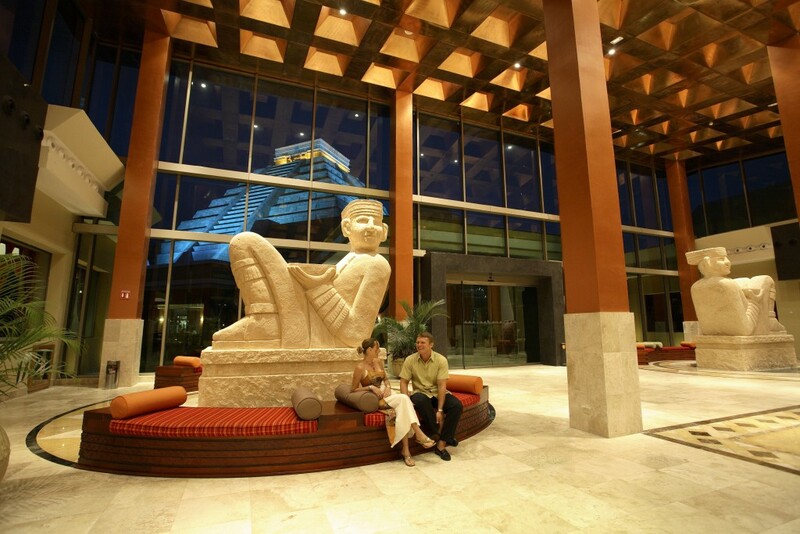 Needless to say, there are a range of experiences throughout their portfolio of incredible resorts. When it comes to their all-inclusive resorts in the Caribbean and Mexico, these are our favorites. This newly-renovated masterpiece on Playa Bávaro in Punta Cana has a lot that’s new and updated – the gorgeous lobby, reception area, buffets, kids club, theater, lobby bar, and gym. Plus, with the addition of a brand-new grill at the outdoor buffet, this property is also culinarily refreshed. The all-suite accommodations look out onto lush tropical gardens and the famous turquoise Caribbean Sea, and with a vibrant nightclub, casino, spa, and fitness center, all adult needs are taken care of. And adults aren’t the only ones in perfect paradise; IBEROSTAR Bávaro Suites is specifically designed to have an atmosphere of fun for all – children and teens included. In other words – this is a true all-inclusive resort. While the adults hang out at comedy shows, the state-of-the-art spa, bars, or the casino, kids and teens can get away in their own club and the new incredible water park. Besides those international buffets all-inclusive resorts are known for, here a la carte options are quite delectable, too. La Dorada offers up Mediterranean and seafood specialties. Kabuki is the stop for great Japanese cuisine, hibachi style. Jambalaya is all about Cajun soul food. And at La Coupole, you could put on your best threads in an intimate setting for classic French dishes. Directly on the beach in between Cancun and Playa del Carmen, this Riviera Maya gem utilizes Mayan décor, art, traditions, and beauty to make the entire property a Mayan masterpiece that will leave you going oh my! Or… Oh Mayan! Featuring actual Mayan art and ruins, this historically-inspired resort ensures each piece of furniture is uniquely designed with wood, brass, bronze, or limestone. A giant harp with seashells, huge brass vases, and a lobby bar that is an exact replica of the pyramid of Chichen Itza, makes this property a museum and work of art in and of itself. 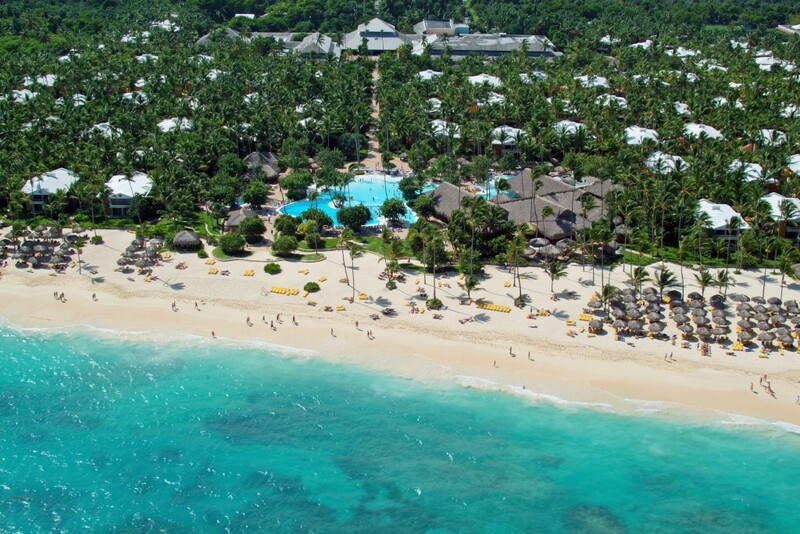 Like Bávaro Suites in Punta Cana, this property in Mexico is also a great getaway for children and families. Teens get to enjoy nightly live entertainment, and younger kids get to hang out in the kids club. Adults have all paradise-musts taken care of – endless sunshine, beach and spa time, and delectable international fare. 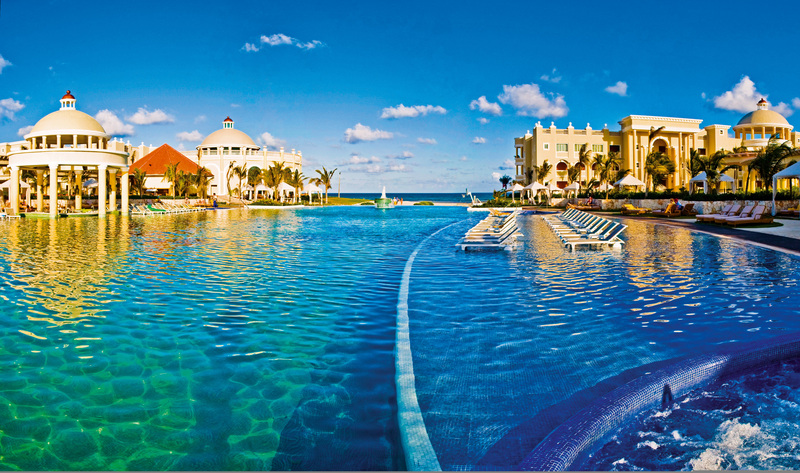 At IBEROSTAR, fun for adults needs no introduction or explanation. Authentic Mexican at El Tapatio, fresh seafood at La Marina, Japanese at La Geisha, gourmet French at L’Etoile y Museo, and steaks, chops, and other superb cuts of meat at the classic steakhouse El Rancho also make this a diverse dining experience that hits on every taste bud. IBEROSTAR Grand Hotel Bávaro in the Dominican Republic, IBEROSTAR Grand Hotel Paraíso in Mexico, and IBEROSTAR Grand Hotel Rose Hall in Jamaica take things to a new level of luxury and class. Everything at these resorts is a bit more impressive – vacations tailored to the adults-only all-inclusive experience. At the Grand Hotel Bávaro in Punta Cana, Greco-Roman architecture sets the stage, with custom-made art speckling the property. A great example of old-school traditions meeting modern glamour, this resort makes sure guests receive personalized butler service and sleep soundly on European linens. From a golfer’s paradise, to beach bum perfection, to gastronomy that is unforgettable, go Grand for an IBEROSTAR experience that will be completely off the charts. Contact your local travel agent to book these stunning properties and get ready to enjoy a vacation that is truly all-inclusive.